Revising the Stanley Cup playoff format isn't going to happen in the immediate future. The NHL and NHL Players Association on Wednesday agreed to extend the current configuration through the 2019-20 season, according to a report by TSN's Pierre LeBrun. "The matter will continue to be discussed between the two sides moving forward," LeBrun wrote Wednesday on Twitter. "So earliest change would be for 2020-21 if/when there is change." The format that has existed since the 2013-14 season — when the NHL realigned to a four-division setup — hasn't exactly caught on with fans of competitive teams that get matched up unfairly. The NHL sends the top three teams from each division to the playoffs, along with two wild-card teams from each conference. The playoffs begin with the second- and third-place teams from each division facing each other. For instance, the Boston Bruins and Toronto Maple Leafs — two of the top four teams in the Eastern Conference in 2018-19 — are second and third, respectively, in the Atlantic Division, behind the Tampa Bay Lightning, who lead the NHL with 124 points. 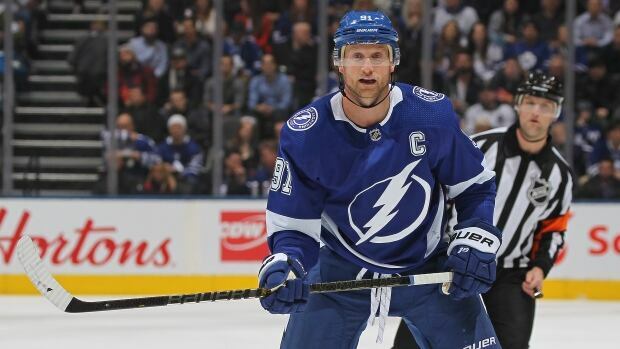 "What you're grinding 82 games for during a season is to finish as high as you can so you can have that advantage come playoffs," Lightning captain Steven Stamkos told TSN. "I don't think that's an advantage to Toronto or Boston to be what could be the top three teams in the whole league in one division and then have to play that team in the first round. I don't think that's right. ... It is what it is. You can't change it now, but I don't think it's the most fair in terms of why you play and the advantage you're supposed to have come playoff time." Suggestions outside the league have been made to simplify the system by seeding the top eight teams from each conference by their regular-season records.